SPACIOUS FAMILY HOME! 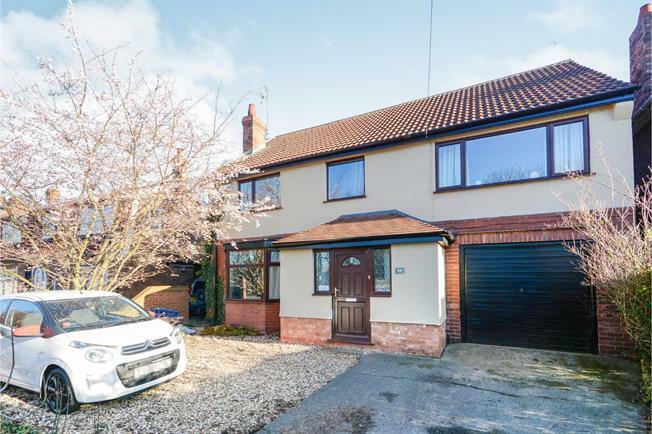 Bairstow Eves are delighted to welcome to the market this stunning, deceivingly spacious four bedroom detached family home which is a must view. The property comprises of a spacious entrance hall that gives access to a gorgeous living room with a bay window and feature fireplace. The hall also gives access to an open plan dining room, snug and kitchen area which would be fantastic for entertaining. The kitchen then leads into another hall that has a small utility room, w/c and access to the enclosed rear garden. The first floor benefits from a master bedroom with walk in wardrobe and en-suite shower room, three more double bedrooms with bedroom four having access to the rear garden via an external staircase as well as the large four piece family bathroom suite. Additionally the property benefits from gas central heating, double glazed windows throughout, off road parking for several vehicles, single integral garage, private and mature rear garden with summerhouse. The property is a must view for any family as the space can be utilised in a number of different ways as the previous owners have used part of it as a self contained apartment. Please call the office for viewing arrangements. Double glazed uPVC bay window facing the front. Radiator and open fire, ceiling light. Double glazed uPVC window facing the rear overlooking the garden. Radiator, ceiling light. Roll top work surface, fitted, wall and base and drawer units, space for, gas oven, space for, gas hob, over hob extractor. Double glazed door, opening onto the garden. Radiator, ceiling light. Double glazed uPVC window facing the rear overlooking the garden. Low level WC, pedestal sink. Radiator, ceiling light. Low level WC, double enclosure shower, pedestal sink. UPVC double glazed door, opening onto the garden. Double glazed uPVC window facing the rear overlooking the garden. Radiator, ceiling light. Double glazed uPVC window facing the rear overlooking the garden. Radiator, ceiling light. Low level WC, corner bath with mixer tap, single enclosure shower, pedestal sink with mixer tap.